« What can you visit in London for free with a London Pass? Exceptionally inexpensive evaluation of different promotions of thousands of retailers with a click’s pace. The key concern is that if the frequency of online shopping keeps excelling at this rate, the next big super mart shall be on the tips of your finger. Convenience refers to the flexibility of the consumer while shopping online. The provision of consumer autonomy that break all the barriers to geographical boundaries and time constrains enables the consumer to shop anytime, and most importantly from anywhere. Many online business and market places, offer a wide range of consumer facilitation services such as cash on delivery to take the consumer a step further to deliver their quality service at their door steps. Online purchase empowers the customer to easily make price comparisons and browse through an endless product category right in front from their computer screen. So far we have established a relation between the consumer conveniences to make an online purchase. 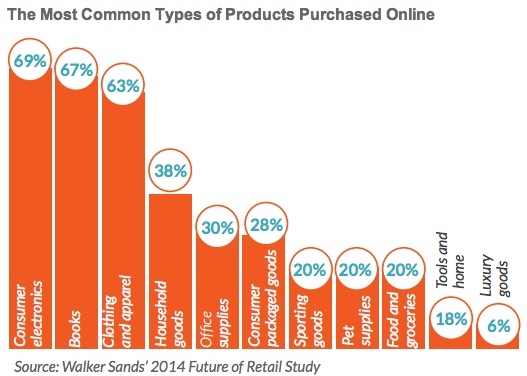 The utility of saving time and browsing quickly also motivates the consumer to shop online. It’s one of the most influential factors of online shopping. This enables the consumer to reduce effort and time to make a purchase. A few school of thoughts argue that the time saving factor can be eliminated by the time consumed for the delivery of good to reach, but here, it must be elaborated that the time saved refers to the elimination of time taken to go for shopping physically and the restriction of the time limit on the analysis and study of product at the time of purchase. For example, a person sitting in California can order a product from London sitting at home and the consumer has the liberty to carry out research, reviews and analysis before the purchase of the product. Some Consumers who have already shopped online view time saving factor as the prime reason to shop online. As the saying goes, “A good face makes the sale”. Indeed that can be applied to understand the phenomenon of motivation to shop online. A well designed website, or for more proactive business, an app motivates the consumer to make the purchase. A fully equipped website that establishes an interactive channel between the consumer and the business adds an intense value to create a motivational drive on the consumer. It is the leading reason that many businesses are now coming up with more interactive and innovative ideas to grab the consumers’ attention. High resolution graphics, 3D simulation of the product, safe and easy payment mechanisms along with the website design are the backbone to connect to the consumers and create reliability. Moreover splash some colors to make your online content lively. It captures their interest and motivates consumers to at least have a look at it. For instance, Kaymu is one of Bangladesh’s leading website that is high on content and supports all the features discussed above. They also devised “The Kaymu app” which offers an interactive view of the purchase experience. Perhaps the biggest dilemma for online shoppers is the privacy and security concerns. Safe and secured transaction of money and credit card information increases trust and reduces transaction risk simultaneously. To avoid any such circumstances, consumers are turning towards secure and authentic sources for online shopping that guarantees the security and privacy of consumer. Furthermore, alternatives such as cash on delivery or money back greenness do seem to counter this fear. Online shopping is flourishing day after day as the usage of internet increases. Understanding and analyzing the customer’s motivational factors for online selling is playing a crucial role for marketers and advertisers to establish a relationship with the consumers. Specially understanding the consumer’s attitudes towards online shopping , making improvement in the factors that influence consumers to shop online and working on those factors will help marketers to gain the competitive edge over others. This entry was posted in Internet Marketing, Web Design and tagged count of internet users, frequency of online shopping, Intelligent product comparison, kaymu, make an online purchase, market share for online shopping, the flexibility of the consumer, the potential market share. Bookmark the permalink. Follow any comments here with the RSS feed for this post. Post a comment or leave a trackback: Trackback URL. great! very important thing you discuss in this post. nowadays online shopping growing up and we have to know something right about it. Very important thing i found in this article it’s very helpful and informative.